Sold one short story, Theogenesis Gimmick, which just came out in the Truth Beyond Paradox anthology, which you can purchase at the link. Wrote two posts that were published on the SFWA blog. Had fun speaking on Radcon 6C panels. 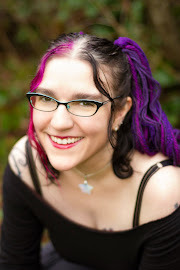 I was a Norwescon panelist for the first time! Huge bucket list accomplishment. Presented at Sunstone Symposium for the first time. An amazing experience that I would like to repeat. Presented at an International Cultic Studies Association (ICSA) conference on Helping Former Members and Their Families in Santa Fe. My talk was selected to present at the big ICSA conference in Dallas next summer. Created a number of video podcasts analyzing LDS Conference talks, with Jonathan Streeter. In spite of the financial challenges getting there, I helped launch the first year of the DEFCON Biohacking Village, and committed to running their CFP Review in 2016. Participated heavily in the outrage against the LDS LGBT Exclusion Policy, and helped comfort (and allowed myself to be comforted) those who were impacted by this decision. Moved to a wonderful new house. Learned an unbelievable amount about life and grew in ways that's really difficult to quantify. Had a number of significant spiritual experiences which are difficult to quantify or even explain. In short, I have no idea how I did all of that, given where I've been. Even though I'm an atheist and a skeptic, I did feel my feet being guided often this year, like I was being placed in the right spaces at the right times, and carried through rough patches that I wasn't sure I could navigate. For this, I am grateful to The Universe for the wonders I've been shown. The future is so uncertain. And because of that uncertainty, these goals are more squishy (less specific) than I prefer. But it's important to write these things down. It helps make them true. Continue trauma recovery and be happy with where I'm at. Release the Recovering Agency audiobook. Submit more stories, publish more fiction. Successfully run the CFP for the DEFCON Biohacking Village. Speak at Sunstone Symposium on multiple topics. More blog posts and mind control analysis of LDS Conference Talks. More writing for the SFWA blog. Publish a few more short ebooks using material I've already written. More guest posts. 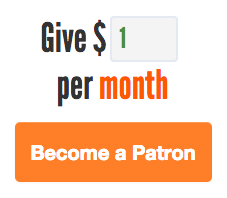 Stretch goal: maybe even a big one on a well-known and possibly paying blog, like HuffPo, MarySue, Jezebel. Bonus points if it pays! Stretch goal: Write and/or publish a new book, either fiction or nonfiction.